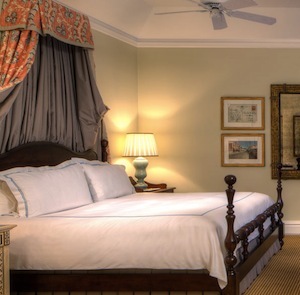 It took an unaccountably long time for Bermuda’s hotels to match the standard of those in the Caribbean proper. But there’s no doubt anymore that the gap has been closed. 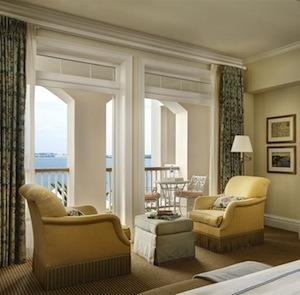 The best hotels in Bermuda are extraordinary not just by local standards, but by global ones as well. 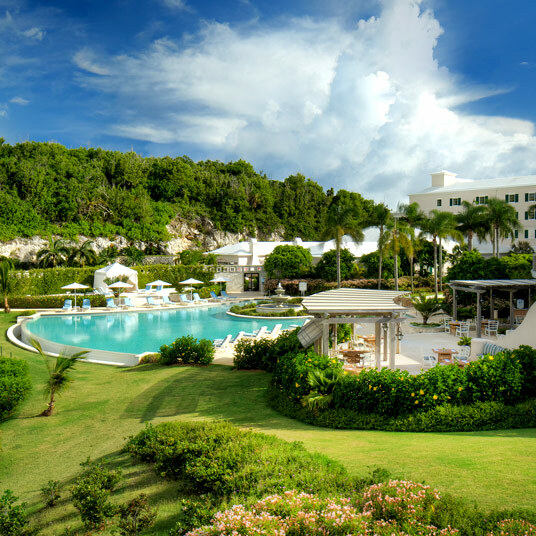 A hotel like Rosewood Bermuda would be an impressive one by any other name, on any other beach, on any other island — the fact that it’s here, on this particular stretch of pink sand, is good news for Bermudan tourism. (It’s also, not incidentally, good news for Americans on the East Coast, a ninety-minute flight away). 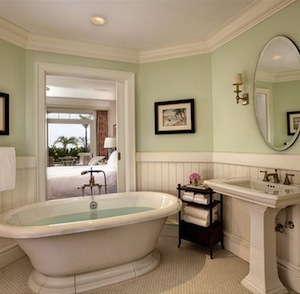 The style is thoroughly British colonial, inside and out. Three villa buildings orbit a central manor house, all newly built but far from modern. (Antique style and modern construction can be the best of both worlds.) Outlying rooms and suites are bigger and more private than the manor-house ones, though the main house is plenty spacious and plenty relaxed — given the sheer size of the place, it’s a shock to discover it contains less than a hundred units. 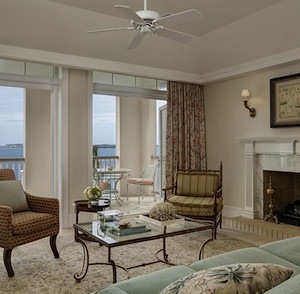 Then again, it’s less of a shock when you consider that even the most basic Superior room sprawls out over five hundred square feet of space, with room for a king bed and a massive bathroom with twin basins and a freestanding tub. 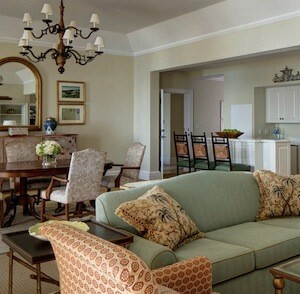 Needless to say, it only gets more extravagant from there — the higher-end suites are practically self-contained residences. Nor does the Rosewood disappoint in the department of resort amenities. There’s a private club on a truly stunning beach, an eighteen-hole golf course, a very extensive spa and fitness program, and a dive and watersports center that’s positioned (and equipped) to make the most of the Rosewood’s location. World class. 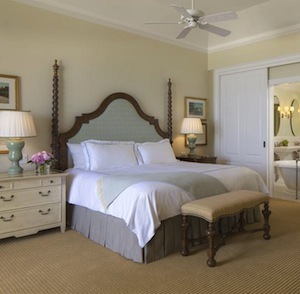 Rosewood Bermuda is about a 20-minute drive from Bermuda’s L.F. Wade International Airport (BDA). Please email CustomerService@TabletHotels.com for further information or assistance with transportation.